This news article was originally published on Adeso Africa on 25th July 2018. 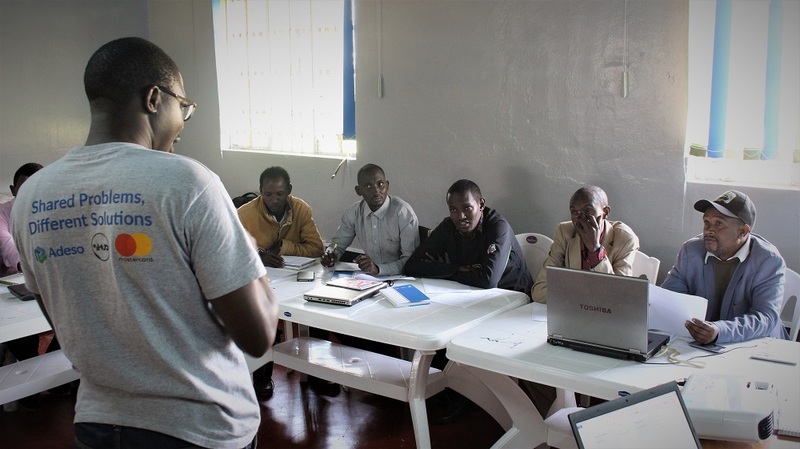 Start Network's innovation lab in Kenya, part of the four national Disaster and Emergencies Preparedness Innovation Labs (DEPP Labs) programme, reflects on progress made with their Monioring Evaluation and Learning (MEL) training. When the Kenya lab was launched in October 2017, the aim of the Lab is to strengthen rural communities’ resilience to recurring drought – to enable them to prepare, respond and recover. The journey of a thousand miles begins with one step. Does the proverb ring a bell? It sure does for the Maarifa Kona team. At Maarifa Kona, each month provides new insights and it also shapes our outlook on this innovation path shuttled by the DEPP Labs programme. However, things don't stop there for us. It's very important for us to look back at the distance we traveled, and to take stock of the progress, the roadblocks, the missed opportunities and the mistakes we learned from. How else would we know how far we have come and what to anticipate for the present and future? This where Monitoring, Evaluation, and Learning (MEL) comes in handy in program management. Granted, MEL is not a concept that would get a crowd worked up with excitement; a yawn or raised eyebrow might actually be the obvious reaction. However, it should never be dismissed. Tracking progress is vital in identifying the benefits and gaps in any activity. MEL enables all stakeholders to read from the same script and appreciate the dynamics that influence progressive change, whilst, pointing out weaknesses to address further. This is the approach we adopted for our MEL trainings hosted at our Garissa Lab on 5 -6 July and the Marsabit Lab on 9 – 10 July. We appreciated the diversity amongst our 22 innovators (11 at each lab) and strived to guide them through the intrigues of community-centered research, innovation pivots necessitated by community/user feedback and progress assessments jointly undertaken with the lab teams. Certainly, some of the innovators had a few ‘head-scratching’ moments in between the sessions however, in the end, resounding clarity was achieved. “I learned that to have a wider impact, I have to focus,” said one innovator. “It is important to identify the challenges of a product and the steps to mitigate,” added another. The MEL training marked the official commencement of the Research and Concepts phase of the Maarifa kona innovation process. This phase will run for a period of 7 weeks. During this time, we will help our innovators modify their ideas from continuous feedback from target groups as well as link them to mentors, who will expand their thinking on the practicality of each solution from the validated community needs. “I need to be more aggressive, daring, unique as I think about the solution,” proclaimed one innovator. We believe that there is great potential in every novel idea, however, such potential will be realized through timely execution based on appropriate contexts and eliciting collaboration in its application. These ingredients will be added to our innovation pot in the coming weeks. Read more about the Disaster and Emergencies Preparedness Innovation Labs programme. Find out more about the four innovation labs in Bangladesh, Jordan, Kenya and the Philippines.